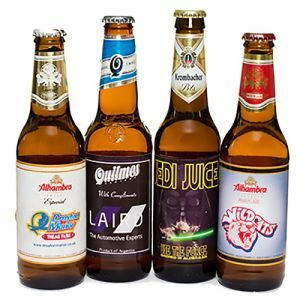 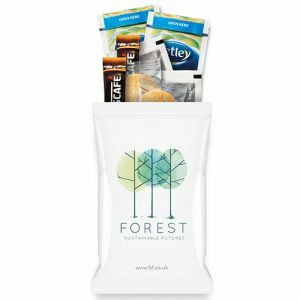 We should all be drinking 6 to 8 glasses of fluid daily and this includes water, tea, coffee and sugar-free drinks so why not treat your customers to promotional drinks as part of your next marketing campaign? 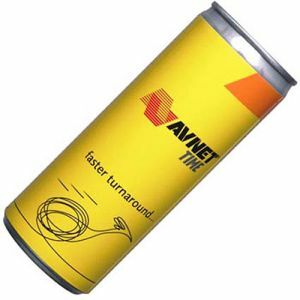 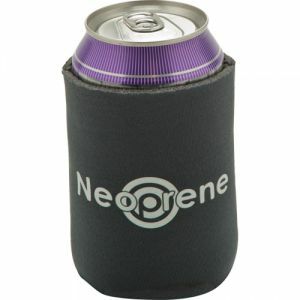 Branded bottled drinking water with full colour wraparound label, fully branded energy drink cans or printed tea bags are versatile promotional products suitable for almost any audience. 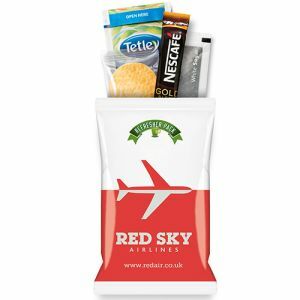 Alternatively, for something a little more exciting, you can show your staff and customers how much you value their loyalty or business with a bottle of personalised wine, whisky or prosecco. 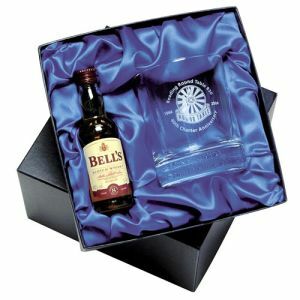 Add etched glasses to a bottle of their favourite tipple with one of our luxury alcohol gift sets at prices that needn’t break the bank. 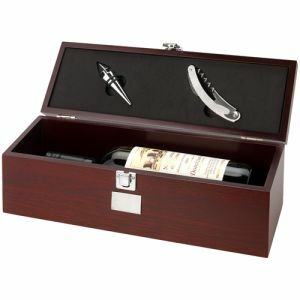 Perfect for business milestones, personal birthdays or anniversaries, or key calendar dates such as Christmas or Valentine’s Day. 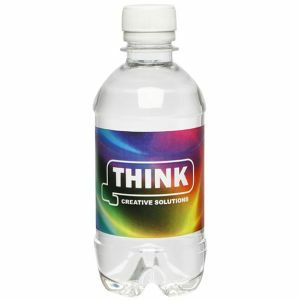 Millennials always carry it, commuters value it, we can’t get enough of it when it’s hot - and if your target audiences are delegates at trade shows, conferences or events, providing free water will be a big ‘thumbs up’ for your brand. 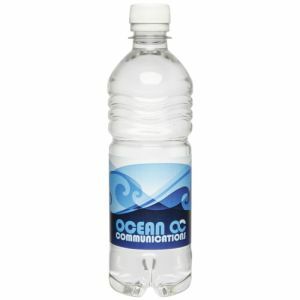 Our branded bottled water comes in a smaller 330ml and larger 500ml size, giving flexibility in terms of both budget and storage. 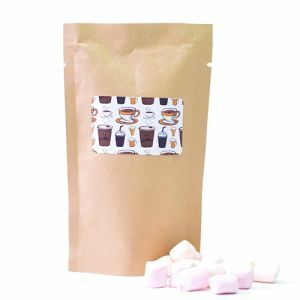 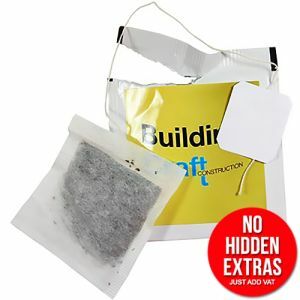 We also offer a range of promotional tea bags including with branded envelopes or tags in either classic English Breakfast Tea or Green Tea as standard, although we can also source speciality teas – ask us for details. 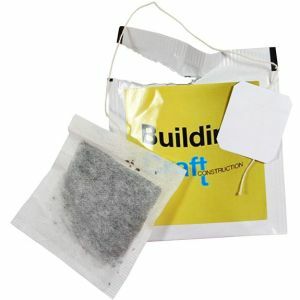 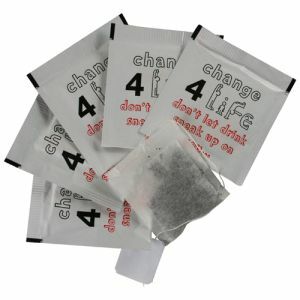 Our tea bag lead times vary from 10-20 days depending on which product so if you’re planning a National Tea Day promotion on April 21st, make sure you request a quotation in plenty of time. 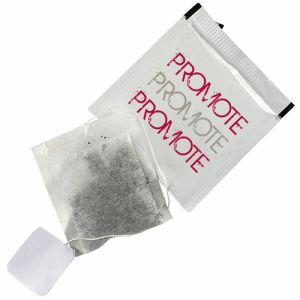 To cover all bases, and perfect for hotels, university freshers’ week, travel companies or office-based staff, one of our Refresher Packs which include a mix of tea, coffee and biscuits in individual packs – there’s even a Hot Chocolate with marshmallows variety – all encased in your company’s corporate colours and contact details or slogan might tick all the boxes for your next marketing promotion. 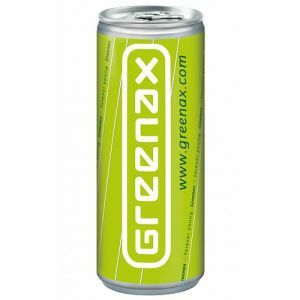 Energy drinks are perfect for athletes, runners, gyms, sporting or outdoor events, and anyone working long shifts such as lorry drivers, healthcare workers or even gamers where a light boost can help improve performance. 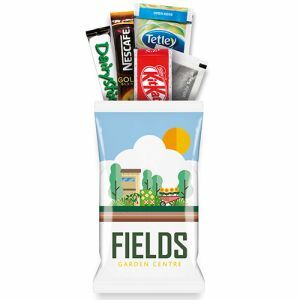 If kick starting the day might work for your company message, our juice and breakfast bar snack boxes are perfect, including a 100% juice box and a healthy Alpen breakfast bar in a reusable, transparent snack box with full colour branding under a protective resin dome. 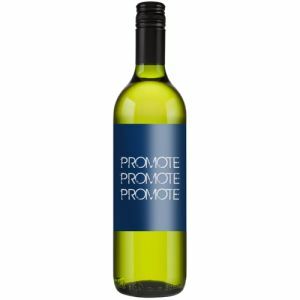 Total Merchandise is working with award-winning winemaker Andrew Peace to offer promotional Gold Reserve Chardonnay with notes of tropical fruit and citrus with a full colour printed label to personalise your message to your customers and stakeholders. 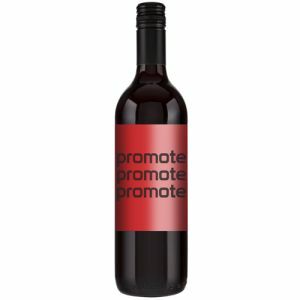 If you prefer the warmth and depth of a red wine, we have an award-winning Andrew Peace Shiraz which can be personalised with your company logo and credentials in full colour. 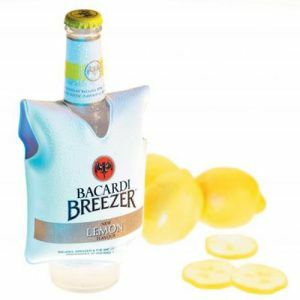 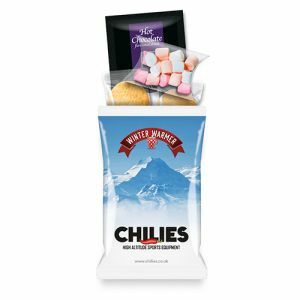 Available in multiples of 6, these can be used as individual gifts or displayed and served as part of a corporate event or party. 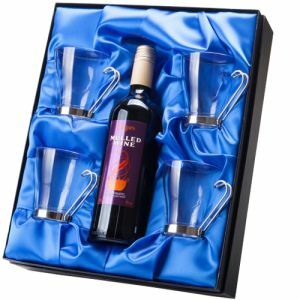 Our luxury gift sets are supplied in exclusive blue satin lined gift boxes and can include a range of different alcohol brands – ask our friendly sales team for details and costs. 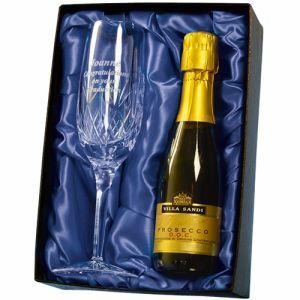 Flutes, glasses and tumblers can be etched with your business logo or message and quantities start at just 10. 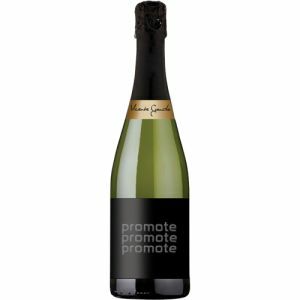 Prosecco sparkling wine or Spanish Cava is perfect for any occasion from a summer party to a business anniversary or Christmas gift, and nothing is more special than a promotional bottle of fabulous sparkling wine printed with your company logo and strapline or message.